Most of the schools in the El Paso Independent District are located in areas that are close to major air pollution sources such as the busy interstate highway, three international bridges with long lines of trucks going both directions delivering international cargo, a large military base, a busy airport, a large oil refinery, and a sister city of 1.5 million. Today, El Paso meets air quality standards most days, but there are still ozone-alert days in the hot dry summers, dust storms with zero visibility, and brown inversion layers that spread over the area. 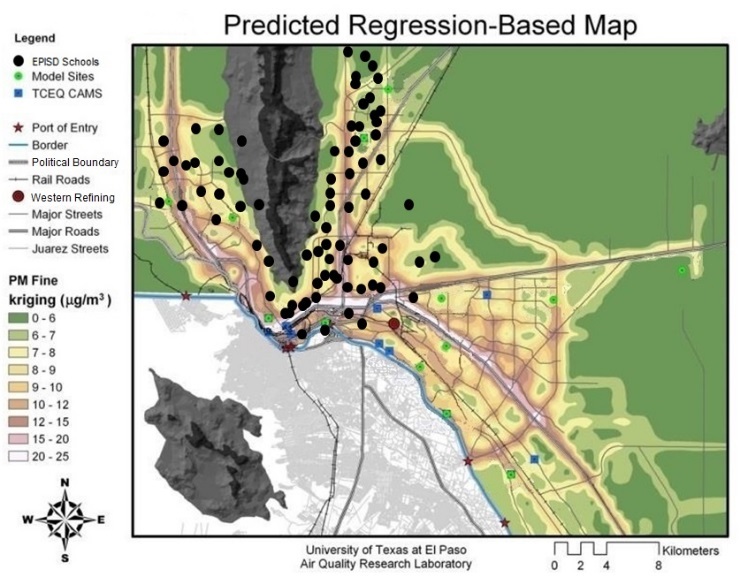 Master teachers in the El Paso district worked with university educators to create this curriculum that informs the citizens about air quality issues and to bring about community and personal actions to decrease the air pollution. The product is an imbedded series of learning experiences for 50,000 students and their families addressing issues that are important and relevant to this border region. We share them with all educators. Suggestions for Greener Schools lists ways to reduce energy use at your school. Earth Day Community Energy Activity is a survey that students can use in several ways to explore how to save energy and reduce carbon production. Smelter in the City uses the story of a copper smelter that operated near the heart of El Paso for more than a century to examine the complexities in environmental education. Includes information and activities for secondary classrooms. Web Resources for Teachers provides quick access to many lessons, information, and opportunities about environmental education. Air Quality Monitor Grid template to make simple air quality monitors for student use. © 2013-2014. University of Texas at El Paso. All Rights Reserved.